For foreign language teachers, a knowledge in designing syllabus of digital-based language learning may offer a great innovation in the delivery of learning materials. Therefore, in taking forward its mission to improve the quality of language teachers and education personnel, SEAMEO QITEP in Language (Centre) organised the Workshop on Syllabus Development of Digital-based Language Learning Materials on June 7-10, 2016. 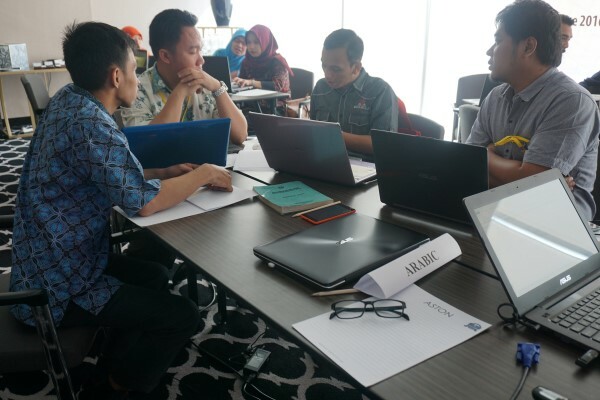 The workshop was held at the Aston Priority Simatupang Hotel, Jakarta. 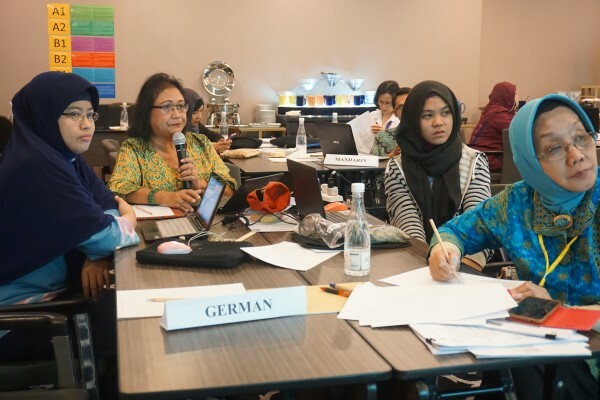 Twenty participants consisted of five foreign language educators (Arabic, Japanese, French, German, and Mandarin) from Jakarta were invited to join the workshop. The four-day workshop were led by experts namely Ms Andamsari, MSi from the Centre of Information Technology and Communication of Ministry of Education of Republic Indonesia (PUSTEKKOM KEMENDIKBUD), Mr Arief Basyari and Mr Iqbal Abdillah from VerticaLabs Jakarta, and Ms Indrani Dewi, MHum from the Centre. Throughout the workshop, resource persons shared their advanced knowledge and experiences in relevant topics such as the level of language skills based on CEFR (Common European Framework of Reference), types of digital platform for language learning, curriculum analysis, outline of media contents and details of materials. Participants also got a concrete learning experience since the activity during the workshop required them to design concept maps. In addition, participants had good experiences on how to make an outline of media contents by defining the target audience, learning objectives, learning contents, instructional methods and certainly, defining the evaluation strategy. The workshop was very interactive since it included presentation which generated much discussion between resource persons and participants who took part. The feedback from this workshop was very good. Ms. Marta Nurullita, a Japanese teacher of SMAN 75 Jakarta, said “It was really interesting and eye-opening, more than I thought it would be. The workshop materials were given systematically by the resource persons. By joining the workshop, I gained new knowledge”. The workshop is expected as the first phase which will be followed up by series of workshops to finalize the syllabus prior to the production of the digital-based learning materials for Arabic, French, Japanese, German, and Mandarin language.